After successfully sending cruisers to the moon and Mars, the Indian Space Research Organization (ISRO) is preparing to launch the second voyage mission to the moon. 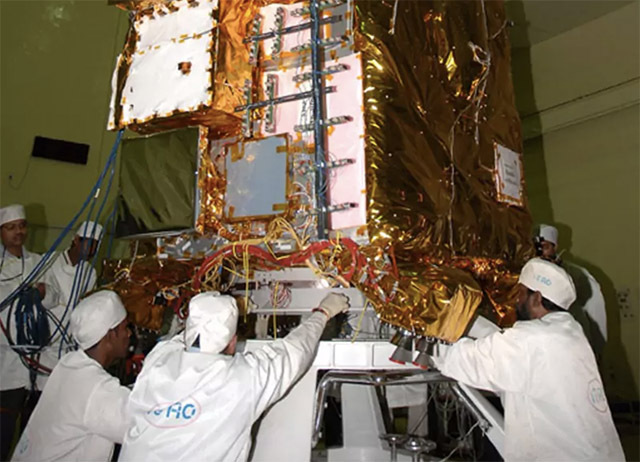 Chandrayaan-2 is pegged for a launch in April and will explore the south pole of the moon. The mission is likely to push India’s reputation in global technology community as the southern lunar pole remains unexplored to date. The mission which is expected to cost ISRO ₹800 crores (~$124 million) is the most ambitious space exploration mission taken up by India yet and will be “challenging“, said Dr. Jitendra Singh, Minister of State in-charge of Atomic Energy and Space. This is because, for the first time, India will be sending an orbiter, a soft lander, and a robotic rover to the moon. USA, Russia, and China are the only countries which have been able to achieve this feat so far – that too for nearly 20 times the cost. The southern pole of the moon is of special interest to space explorers as it receives scanty sunlight throughout the year and has deep craters whose bottoms remain untouched from the sun’s rays. These fathomless craters could be holding some secrets or fossil records related to our solar system which could unlock mysteries about its early nature. These craters might also hold answers to question about the moon’s existence and how it came to enter its current orbit around the Earth. The rover will also explore the feasibility of manned stations on the moon, touching upon the “possibilities of future habitation“. Notably, India’s first moon rover, Chandrayaan 1, discovered the presence of water molecules on the surface of the moon. The second rover, which as per Dr. Singh is more powerful than NASA‘s Apollo missions, is likely to stay for at least 14 Earth days and will analyze the properties of the soil and register moonquakes, aside from taking note of the resources on the moon.